I wouldn’t be who I am without independent bookstores. It might seem bizarre to make a commercial enterprise a cornerstone of your identity, so let me explain. Indie bookstores are like college and a nightclub combined—places for learning, community-building, and falling in love with strangers. Every time I go to McNally Jackson in NYC, I’m a heartbeat away from proposing marriage to at least eight different shoppers, convinced that a shared love of Diana Athill and an endless supply of buttered scones from the store’s cafe are all we’ll need for a beautiful life together. They’re at once cozy and mysterious, comforting and strange. The universal feeling of making a weird and wonderful discovery is something you can count on in any indie across the country, from Book Soup in LA to Oblong Books & Music in Rhinebeck, NY. The community you find in these stores is unique because it’s about feeling seen in the most surprising of places. It’s the same moment of recognition which makes a good book great. It’s when you suddenly catch in somebody else—a bookseller, a shopper, or visiting author—some lovely, secret thought, or dream, or feeling that you were sure was yours alone. Independent bookstores let us find one another. That’s something worth celebrating. 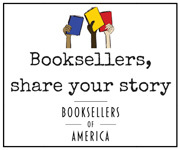 In support of these wonderful bookstores, I’ll be joining with the American Booksellers Association for Indies First 2016. 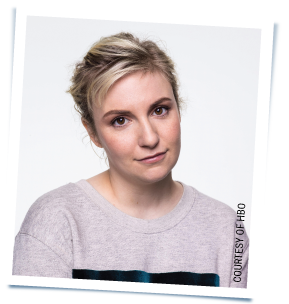 Even though my professional comfort zone tends to extend no further than my own bed and personal stash of carbohydrates, I’ll be emerging from under my comforter to hit the floor of Book Soup in Los Angeles on Saturday, November 26 to join the bookselling fun. I strongly encourage everyone to join me in support of independent bookstores, putting Indies First on November 26! It couldn’t be simpler: Readers can find a local independent bookstore here: www.indiebound.org/indie-bookstore-finder. 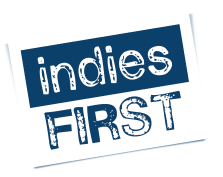 Fellow authors: choose a local independent bookstore and offer your services for Indies First Day as a guest bookseller in one of hundreds of independent bookstores across the country holding events. Add your name to the list of interested authors here: www.bookweb.org/indiesfirstauthors. To show your support year-round, here’s how to link to indie bookstores on your website: www.indiebound.org/spread-word.